I suppose I should preface this post with an apology for my inactivity. There are two main reasons for that. First, this book is fairly hefty. Second, the last month or so has been largely occupied with writing my last essays of the year and, more recently, with exams. I feel that I should have mentioned this in a separate post earlier in the month, but with one thing or another it just didn't happen until now. So yeah, sorry about the complete absence with no explanation there. Anyway, on to the actual subject of this review. 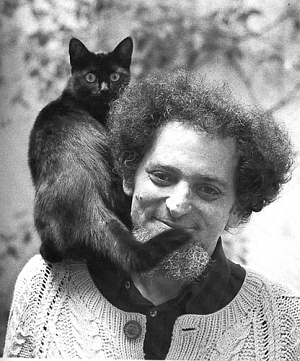 Life: A User's Manual by Georges Perec. I am still unsure as to what made me pick up this book. I had heard of Perec before, having had my interest peaked by the idea of his novel A Void, in which the letter e is never used. I suppose it was the idea here that made me pick the book up: Life: A User's Manual looks at the lives of past and present inhabitants of a Paris apartment block. I guess the idea of something that was at once broad in scope, yet focused on a particular microcosm fascinated me. As you could probably tell from the differences between the date of this post and my last post, this book took me a while to read. Considering that I was largely caught up by exams and university work in that period, this was perhaps not the wisest choice of book to read. The book as a whole could well be described as a collection of intertwined short stories, with each story taking place in a different room in the apartment block. While the largely self-contained nature of each chapter means that it is easy to find convenient places to pause reading, the interconnected nature of the stories as well as the huge cast of characters that is necessarily going to appear in the setting means that referring back to the previous chapters of less focused on characters is going to be a must. I have a feeling that if I had had less things preoccupying me, I might have remembered overall story-lines better. Although considering the huge appendices section, I may not be the only one who would have this trouble. Talking about the characters is probably a futile exercise, as there are so many that it is necessary that I leave out descriptions of most them, simply so that this review won't be as long as the book itself. I suppose there could be considered a main character of sorts, as his is the story that is most in-depth. The main character then, is probably Bartlebooth, an eccentric Englishman who has dedicated his life to creating watercolours to be made into puzzles, which will be reverted to their original state of blankness after he has solved them. I actually came to like Bartlebooth the most out of the very large cast, simply because I could remember his story more than most of the other residents. There are other residents who are nearly as interesting, such as Hutting, a celebrated artist, Madame de Beaufort, a woman raising her grandchildren after the death of her daughter and son-in-law, and Henri Fresnel, a chef who left his wife and successful restaurant to pursue his dream of being an actor. There are, however, several times where the constrained way in which the narrative progresses means that there are some really interesting (or just plain weird) situations that are set up and never re-visited. There are two that spring to my mind immediately: first there is a kind of pseudo-cult initiation ceremony in an otherwise empty apartment, which I was desperate to know more about. The second one I was just utterly confused by: the aforementioned Henri Fresnel is a previous resident of the apartment block, so there is a quick glimpse of the current resident. The resident isn't given a name, and the glimpse the audience gets is of this unknown man lying naked among five blow-up dolls; as it comes at the end of a fairly standard rags-to-riches sort of story, it just seems totally out of left-field and is never given more explanation. This is probably not the only unexplained moment in the book, but it is that one that perplexed me the most.